One of the most debiliating aspects of endometriosis is pain. We know that healthy fats are good for us but how can they specifically help us with pain? Omega 3 fatty acids that are present in foods such as nuts, seeds and oil fish help us to produce anti-inflammatory compounds called prostaglandins. These anti-inflammatory compounds can be effective in reducing period pain which is often so common in endometriosis. There are also unfortunately pro-inflammatory prostaglandins too which we predominantly get from Omega 6 fatty acids. These are usually present in foods such as highly processed vegetables oils and margarine. 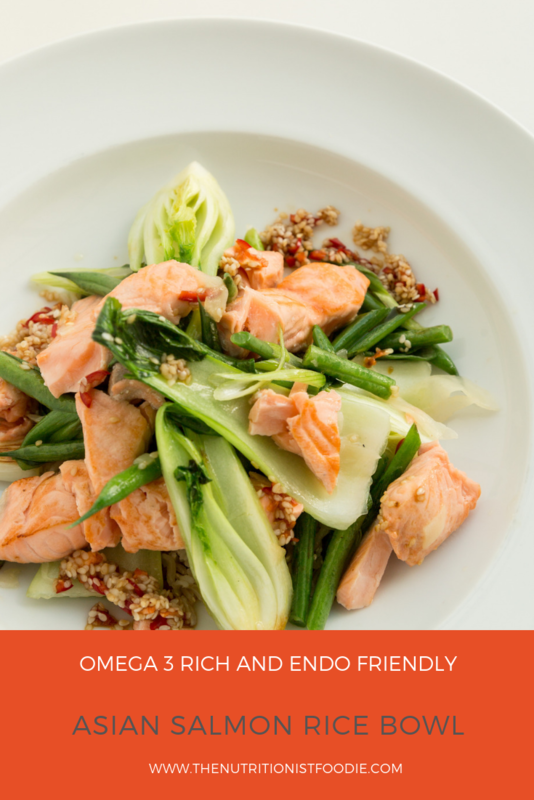 Its essential a ratio…if we eat more foods that have a higher amount of Omega 6 in them we need to make sure we are eating lots of foods that have lots of Omega 3 in them or ideally just reduce the amount of foods that have Omega 6 in them. 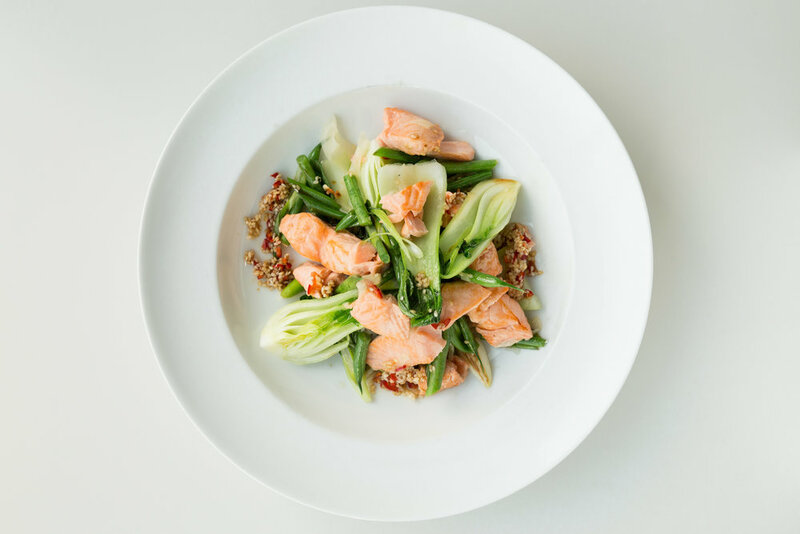 Which brings me to this weeks recipe…a really quick and easy asian salmon full of Omega 3’s and naturally gluten free to boot. Pickled ginger - to serve - a great fermented food! If you are cooking your rice from scratch put it on now. You won’t need to start anything else for a while. In a small bowl make your dressing. Mix your soy sauce, the juice from the lime, red chilli, rice vinegar and honey. Remember the seeds of a chilli are what gives a dish its hotness. Add chillis/flakes based on your own preference. Add the salmon, skin down, into the pan. Add the green beans and broccoli after a few minutes (and some water if required). After 5-6 minutes flip the salmon, add the pak choi at this stage and cook for another couple of minutes (pak choi requires very little cooking). Serve rice, salmon and vegetables and top with the dressing. pickled ginger & mixed seeds. Did you like this post? Simply pin it to your Pinterest account by clicking on the image below to save it for later. .